How does yours compare? Photos courtesy of @samanthainwanderlust, @sur_mon_nuage, and @axlif. 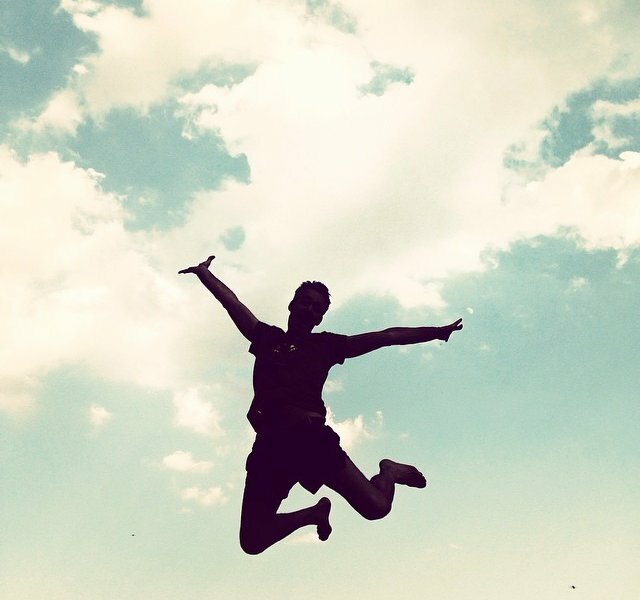 INSTAGRAM – We love action, so we asked for your best jump shot tagged #travelwithfathom on Instagram. We never thought we'd receive so many impressive sky-high stills from around the world. After deliberating, double-tapping in disbelief, and perfecting our form, we're happy to share our favorites from the batch. This round's winning photo by @saraeloca was over-the-rainbow amazing. Congratulations, Sara! She will receive a beautifully bound custom photo book full of her favorite digital images printed courtesy of Artifact Uprising. 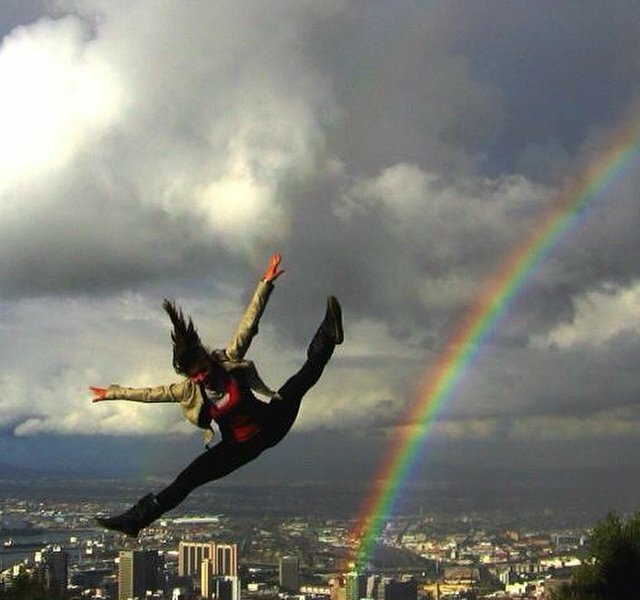 Somwhere over a rainbow in Cape Town, South Africa, one limber jumper flies high. 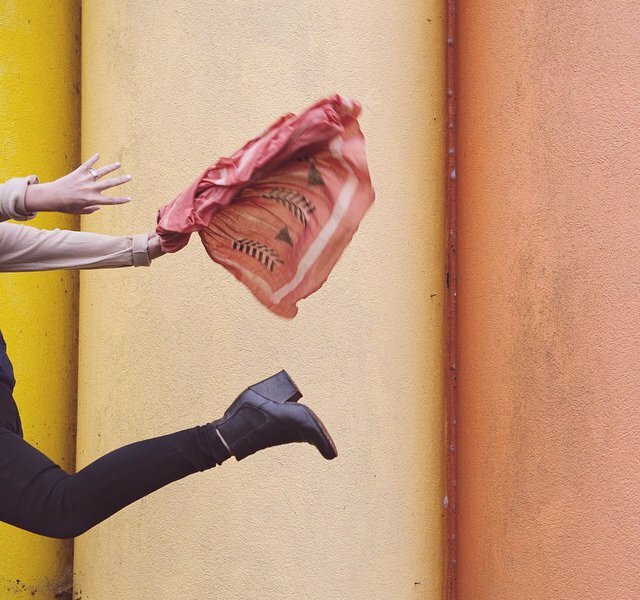 This well-timed leap vaulted @saraeloca to 1st place in our competition. Congrats on the gold, Sara! 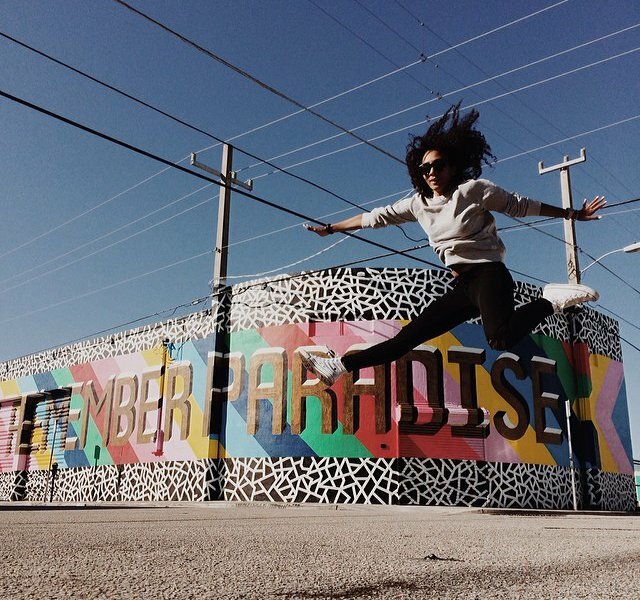 Cool kicks, street art, and potential energy meet a few feet off the ground in Wynwood, Miami. 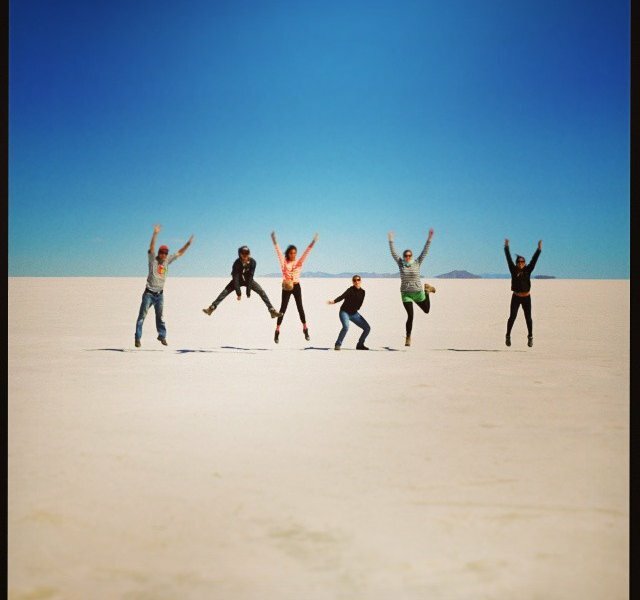 A few friends fooling around in Salar de Uyuni. In the middle of 10,582 square kilometers of salt. 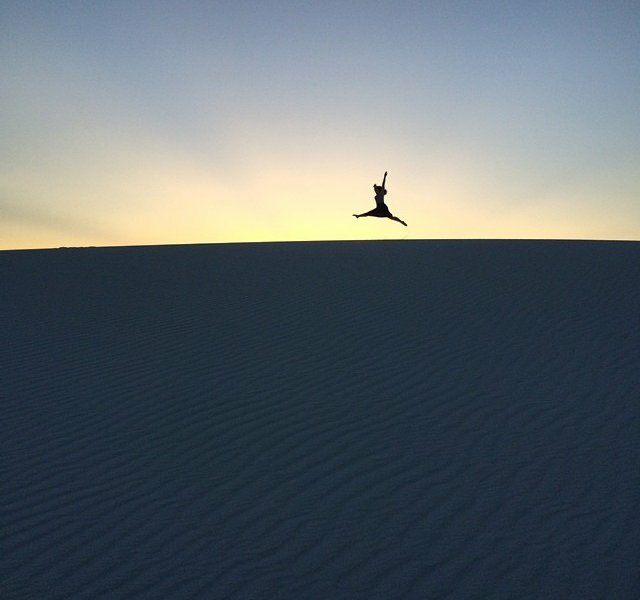 Starting the day on a high note at White Sands National Monument in New Mexico. 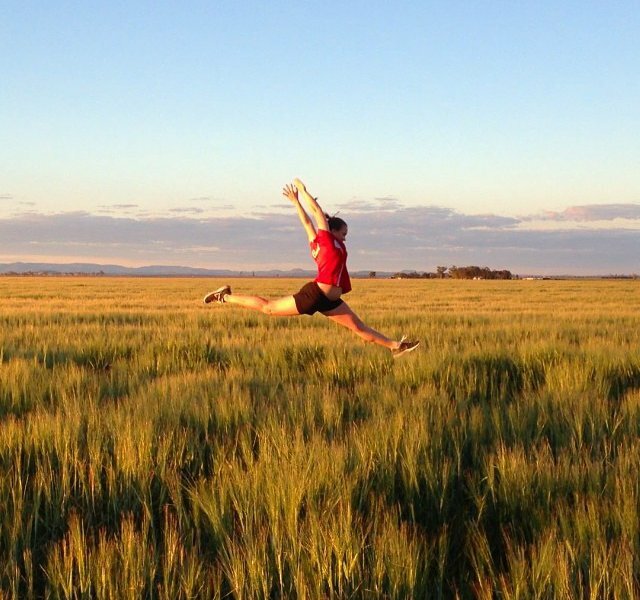 Serious (there must be a trampoline under the foliage) airtime above tall wheat stalks in Dalby, Australia. Showing some love to the Mediterranean blue skies after dropping in on Sicily from Barcelona. An undisclosed seaside cove is headquarters for a pair of goofy jumpers. It's a couple's paradise. You're far north. In Iceland. 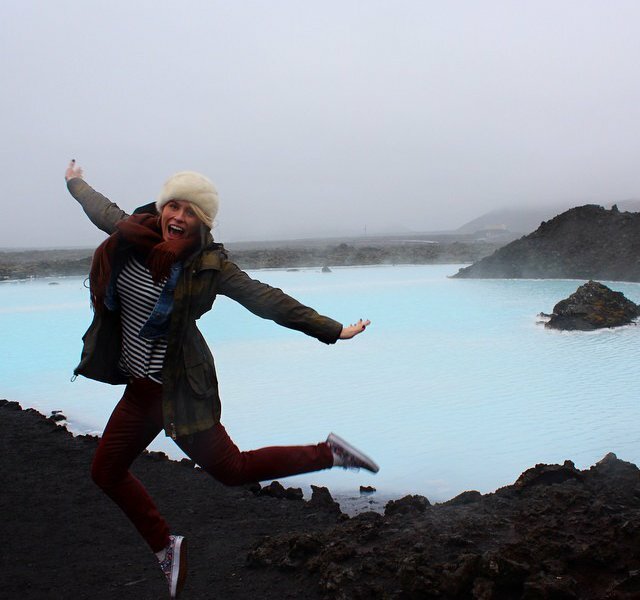 At the Blue Lagoon. Wearing a fuzzy hat. 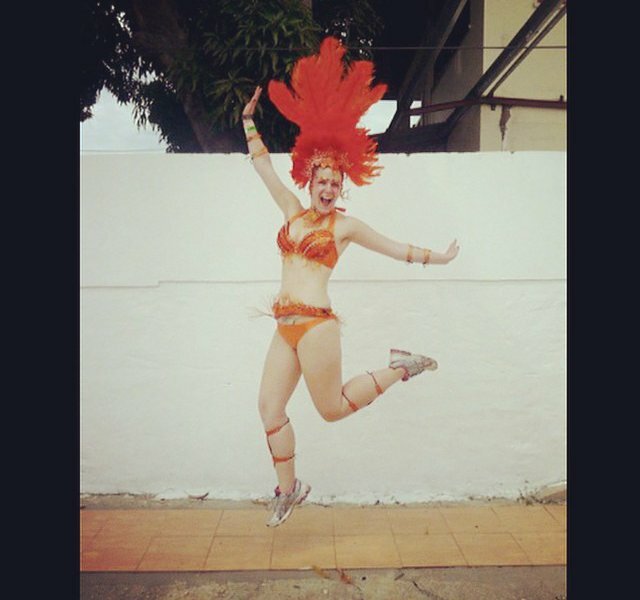 The only options is to jump for joy. A subtle, fleeting expression of a happy experience in a far away place. Gracefully Mary Poppin' her way around floating decks and cabanas in the Maldives. 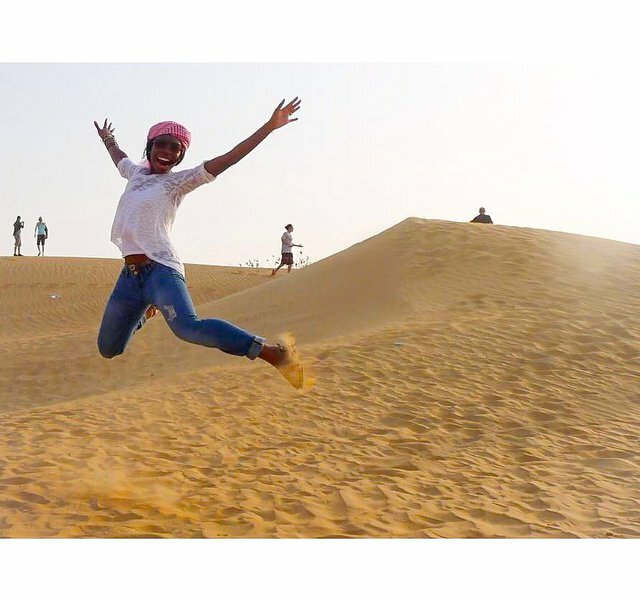 An optimistic start to the week in the United Arab Emirates begins with embracing the sun and sand. 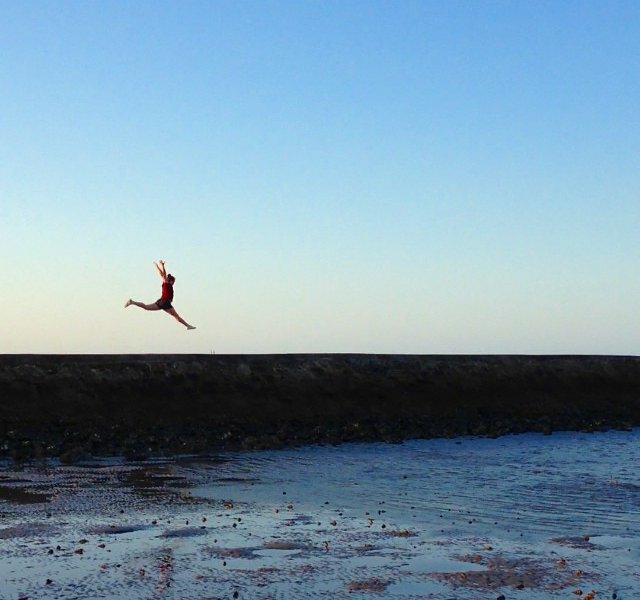 Connecting with nature through early morning gymnastics on the beach in Australia. 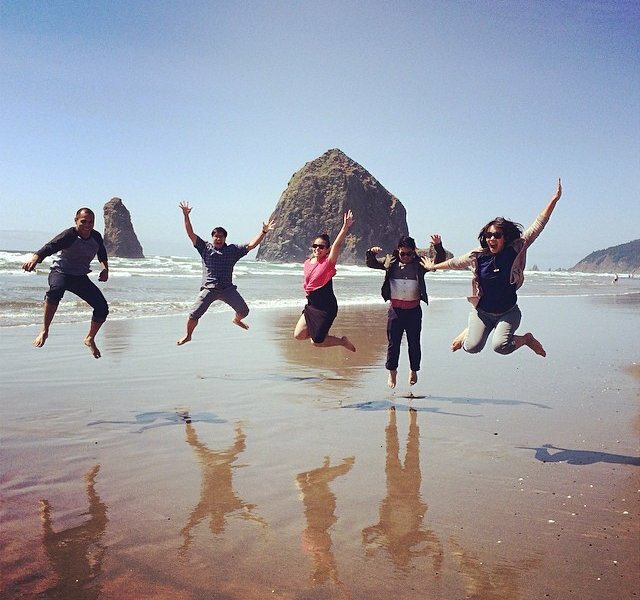 Five siblings assemble at Oregon's Cannon Beach. This is one for the photo album. Or the family Instagram feed. 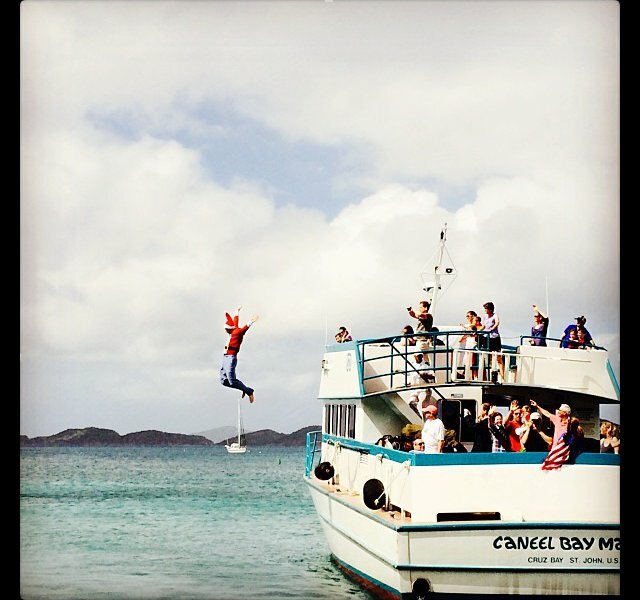 A dare or one man's attempt at staying on the Virgin Islands forever? We're with you bud. Vacation should never end. 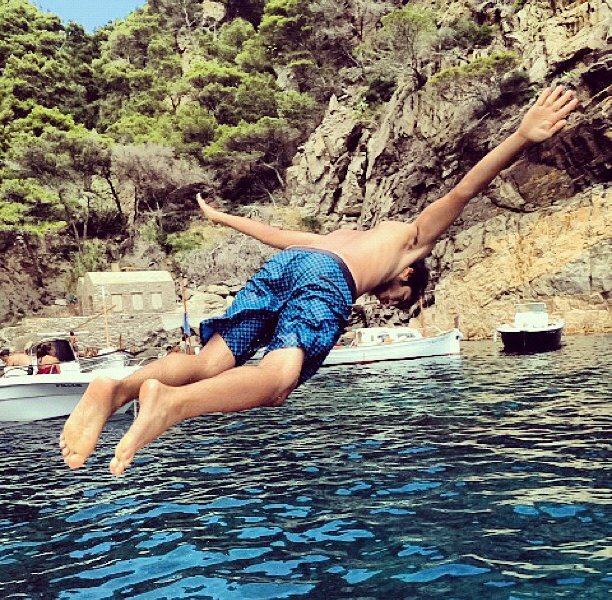 Spreading your wings, taking a dive, and forgetting any previously made plans in El Cau, Spain. 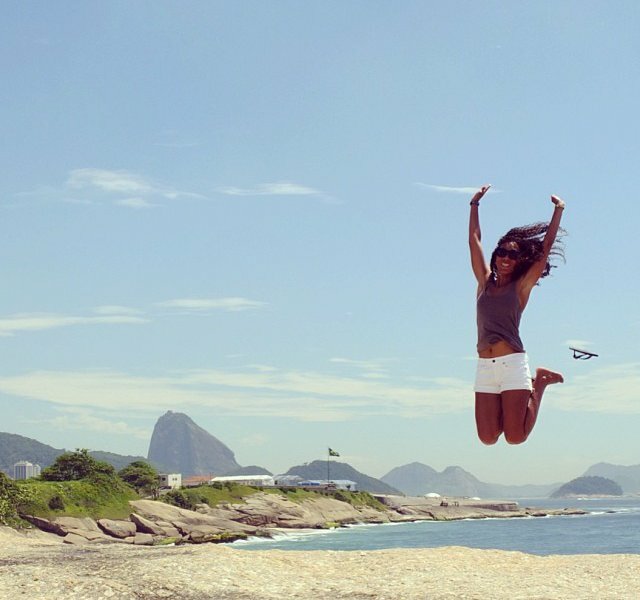 Leaping into 2014 in Rio de Janeiro. Headgear, two piece, and pizzazz for the festivities. Running sneakers for the perfect jump shot. 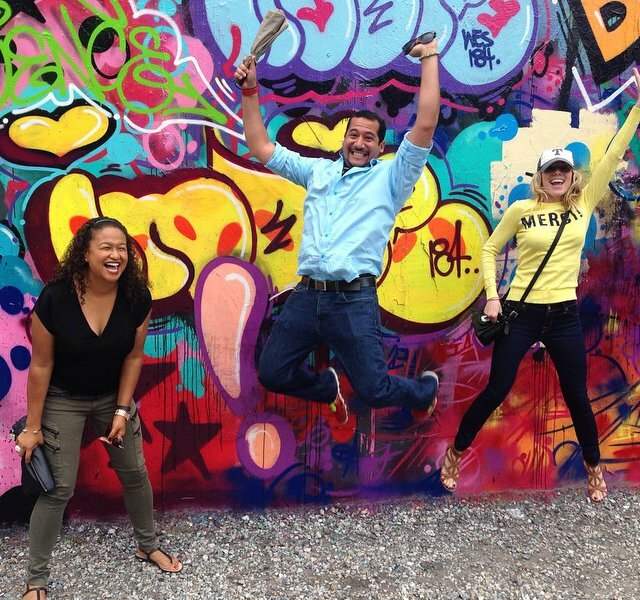 Friends reuniting on a colorful city block. You can practically hear the giddy laughter. Propelling off a sand bar in Kāne'ohe Bay in Oahu, Hawaii, for a deceptively high leap. 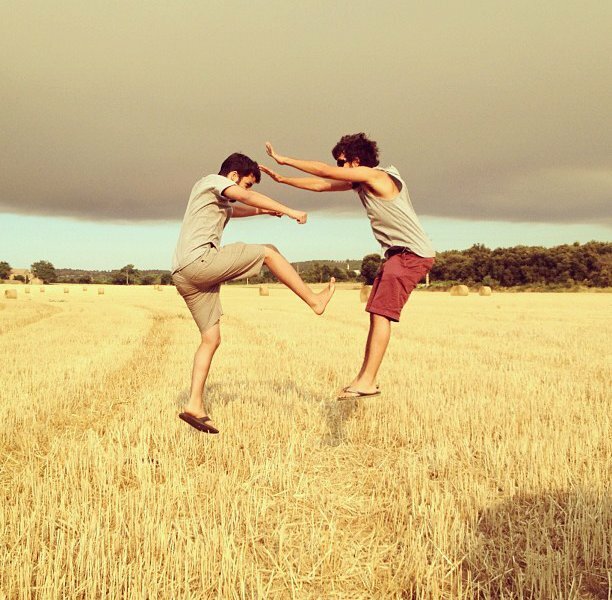 Fraternal flying fighters channeling the force feet above the ground in Catalunya, Spain. A flock of youngsters from a National Geographic Student Expedition shaking it out at the Palace of Versailles. 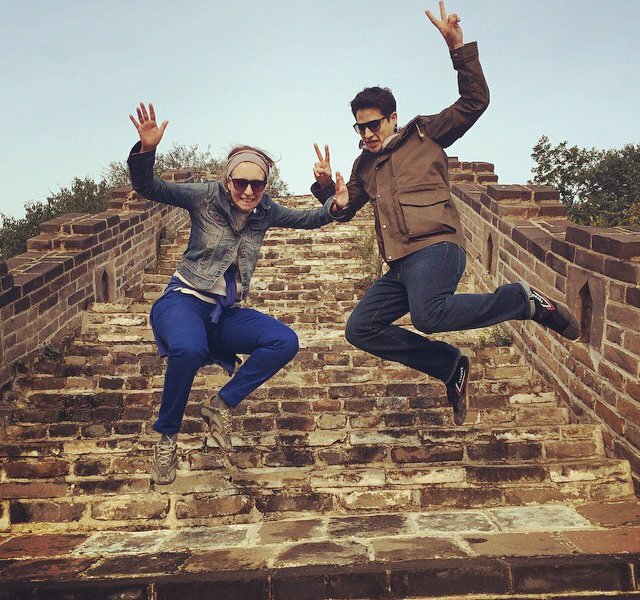 Husband and wife flex their adorable side on a Sunday morning at the Great Wall of China. 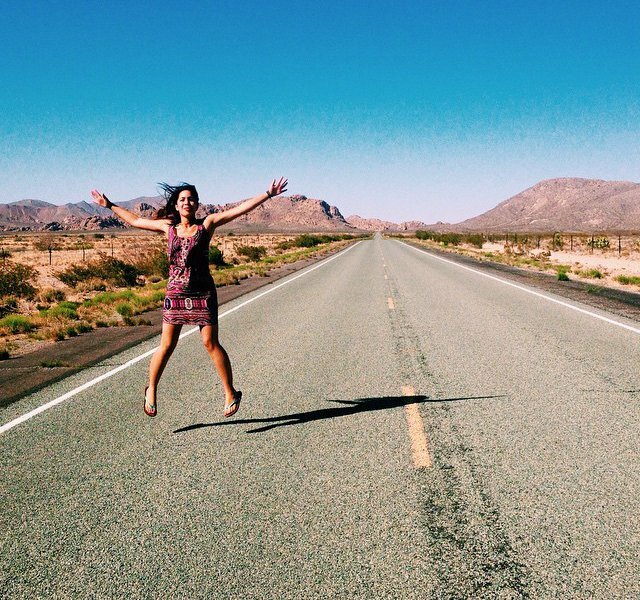 Pit stops for on-the-road photo ops. Only advisable in Arizona. Spontaneous souls on the beach in Thailand. Many more years, guys.